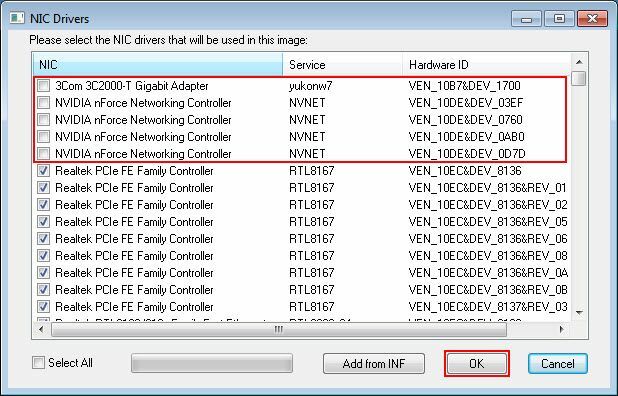 We take removing "NVIDIA nForce Networking Controller" and "3Com 3C2000-t Gigabit Adapter" NIC driver as an example. 1) On the CCBoot server, enable super client for a PC (such as PC101). 3) Run the "CCBootClient" program. 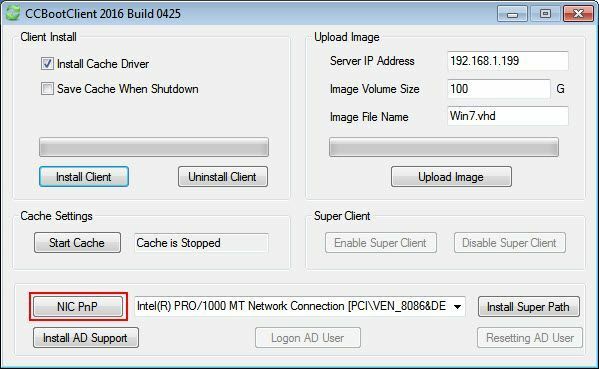 4) In the "CCBootClient" dialog box, click the "NIC PnP" button (Figure 1-1). 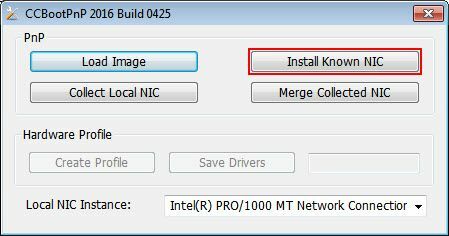 5) In the pop up "CCBootPnP" dialog box, click the "Install Known NIC" button (Figure 1-2). 6) In the pop up "NIC Drivers" dialog box, uncheck the check boxes of the NIC you want to remove, and then click the "OK" button (Figure 1-3). 8) On the CCBoot server, disable supper client.